"Wine Spectator" has rated the wine "Benanti Pietramarina Etna Bianco Superiore, Sicily, Italy" from the vintage 2012 on 30.06.2016 with 91 of 100 points. "Wine & Spirits Magazine" has rated the wine "Benanti Pietramarina Etna Bianco Superiore, Sicily, Italy" from the vintage 2012 on 01.06.2016 with 90 of 100 points. "Wine Enthusiast" has rated the wine "Benanti Pietramarina Etna Bianco Superiore, Sicily, Italy" from the vintage 2012 on 08.01.2016 with 89 of 100 points. "Wine & Spirits Magazine" has rated the wine "Benanti Pietramarina Etna Bianco Superiore, Sicily, Italy" from the vintage 2011 on 01.10.2015 with 92 of 100 points. "Wine Enthusiast" has rated the wine "Benanti Pietramarina Etna Bianco Superiore, Sicily, Italy" from the vintage 2006 on 04.01.2015 with 93 of 100 points. "Wine Enthusiast" has rated the wine "Benanti Pietramarina Etna Bianco Superiore, Sicily, Italy" from the vintage 1994 on 04.01.2015 with 92 of 100 points. "Wine Enthusiast" has rated the wine "Benanti Pietramarina Etna Bianco Superiore, Sicily, Italy" from the vintage 2009 on 04.01.2015 with 91 of 100 points. "Wine Spectator" has rated the wine "Benanti Pietramarina Etna Bianco Superiore, Sicily, Italy" from the vintage 2009 on 15.10.2014 with 92 of 100 points. "Vinum Wine Magazine" has rated the wine "Benanti Pietramarina Etna Bianco Superiore, Sicily, Italy" from the vintage 2010 on 01.10.2014 with 16 of 20 points. "El Mundo Vino" has rated the wine "Benanti Pietramarina Etna Bianco Superiore, Sicily, Italy" from the vintage 2009 on 08.09.2014 with 17 of 20 points. "Luca Gardini" has rated the wine "Benanti Pietramarina Etna Bianco Superiore, Sicily, Italy" from the vintage 2010 on 01.07.2014 with 90 of 100 points. "Wine Enthusiast" has rated the wine "Benanti Pietramarina Etna Bianco Superiore, Sicily, Italy" from the vintage 2010 on 07.01.2014 with 95 of 100 points. "Luca Gardini" has rated the wine "Benanti Pietramarina Etna Bianco Superiore, Sicily, Italy" from the vintage 2009 on 01.07.2013 with 95 of 100 points. "Vinous Antonio Galloni" has rated the wine "Benanti Pietramarina Etna Bianco Superiore, Sicily, Italy" from the vintage 2008 on 01.02.2013 with 92 of 100 points. "Wine Enthusiast" has rated the wine "Benanti Pietramarina Etna Bianco Superiore, Sicily, Italy" from the vintage 2008 on 03.01.2013 with 90 of 100 points. 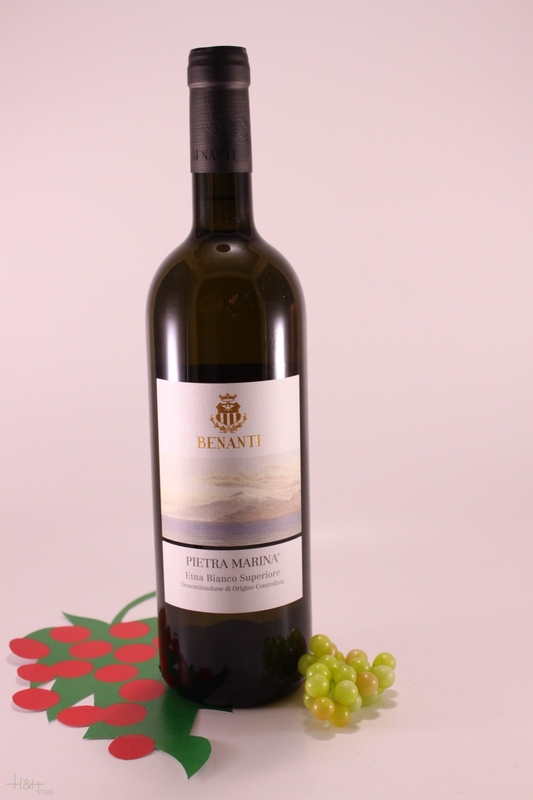 "Tim Atkin" has rated the wine "Benanti Pietramarina Etna Bianco Superiore, Sicily, Italy" from the vintage 2008 on 03.10.2012 with 91 of 100 points. "Luca Gardini" has rated the wine "Benanti Pietramarina Etna Bianco Superiore, Sicily, Italy" from the vintage 2008 on 02.07.2012 with 93 of 100 points. "Wine & Spirits Magazine" has rated the wine "Benanti Pietramarina Etna Bianco Superiore, Sicily, Italy" from the vintage 2007 on 01.06.2012 with 94 of 100 points. 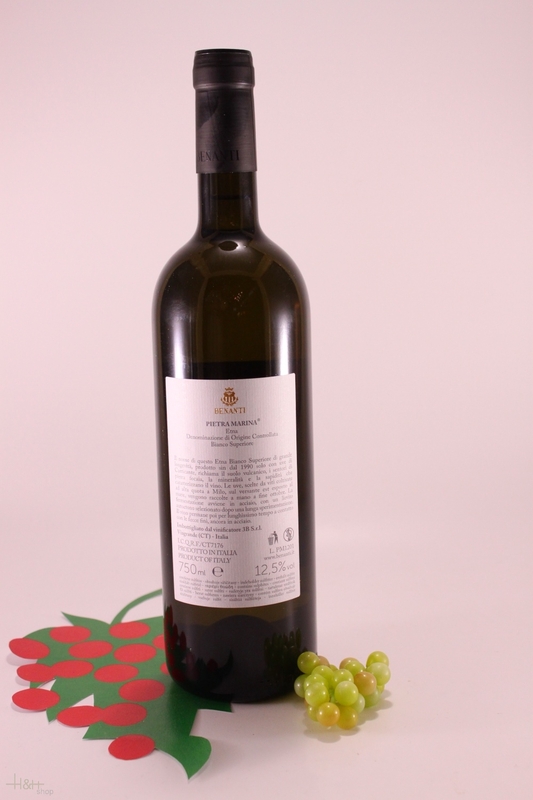 "Vinum Wine Magazine" has rated the wine "Benanti Pietramarina Etna Bianco Superiore, Sicily, Italy" from the vintage 2007 on 01.04.2012 with 16 of 20 points.